Springfield, MA— Raymond Lanza-Weil of Buckland, MA has joined Way Finders’ subsidiary Common Capital as its President, following the retirement of Christopher Sikes after 30 years in that role. As Common Capital’s new President, Lanza-Weil will develop the direction and focus of the organization’s short- and long-term strategies and work to secure capital and resources that will position Common Capital for continued success. 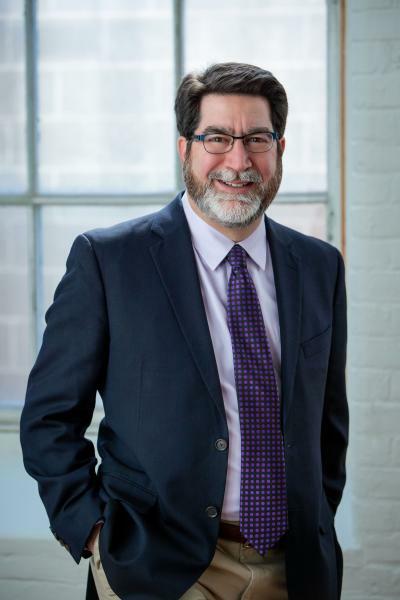 Lanza-Weil began his professional career working in banking in San Diego, California and Portland, Oregon before transitioning to a career in community development finance at Cascadia Revolving Fund (now Craft3) in 1999. For the past twenty years he’s pursued his passion for helping underserved people and communities thrive through his work in the community development financial institution (CDFI) industry. “When I attended my first national CDFI conference in 1999, I knew I had found my place, at the intersection of finance, entrepreneurship, and social good. That conference opened my eyes to the vast opportunities and myriad creative strategies for using loan capital to build strong communities. This was the work I wanted to do and have enjoyed ever since,” said Lanza-Weil. Lanza-Weil has successfully led national and statewide programs, conducted thorough, high quality, deep-dive assessments of the financial and mission performance of dozens of CDFIs, effectively established and sustained organizational partnerships, and maintained productive relationships with many individual borrowers. “After thirty years as President of Common Capital, I am thrilled to be handing over the leadership of the Fund to Raymond Lanza-Weil. Raymond’s extensive experience in the CDFI industry and his background in commercial lending make him a great fit for Common Capital. We are fortunate to have him at the helm,” said Christopher Sikes.